Cape Town - The SA Institute of Professional Accountants (Saipa) has reservations on the provision for warrantless searches in the Financial Intelligence Centre Amendment (FICA) bill. "There are definite circumstances where offenders may leverage delays in obtaining a search warrant to tamper with or destroy crucial evidence. Rather, our concerns relate to the lack of specificity about the conditions under which warrantless searches can be executed,” according to Ayanda Mabida, company secretary at Saipa. Although a court may rectify any infringement after the fact, Mabida is adamant that it remains that a person’s constitutional rights would already have been violated. On principle, no law should be passed that would permit this eventuality. Saipa, however, acknowledges that the FICA bill is essential to SA meeting its obligations as a member of the Financial Action Task Force. The task force is an inter-governmental body that sets standards for combating money laundering, terrorist financing and other abuses of the international financial system. In its current form, the amended clause threatens to violate section 14 of the Bill of Rights, which states that everyone has the right to privacy, and not to have their person, home or property searched, their possessions seized or the privacy of their communications infringed, explained Mabida. Saipa has deliberated the constitutional integrity of the clause and has submitted a letter to parliament’s standing committee on finance outlining its reservations. Mabida pointed out that the FICA bill has been in limbo since parliament assented to it in May 2016. For months, it awaited approval from President Jacob Zuma. 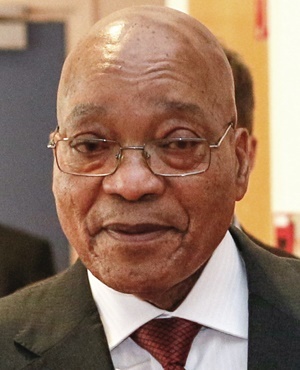 In December last year, Zuma returned the bill to parliament, citing concerns over the constitutionality of a single clause that would allow inspectors to carry out searches without a warrant. Zuma has been criticised for the delay. Mabida said an Anton Piller order is a model of well-defined legislation. One can be obtained promptly and allows authorities to carry out a search without prior notice, provided that an extremely strong prima facie case exists; the damage to the applicant would be drastic; and the offenders clearly possess relevant documents or items and could certainly destroy these before a warrant can be obtained. “In developing new legislation, we must ensure that even the most minor clause honours the Constitution as our nation’s highest legal standard, and affords its people the protection described under the Bill of Rights,” said Mabida.